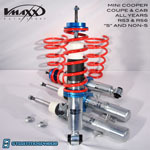 R58 MINI Cooper Non S Coupe Shocks and Coilovers. 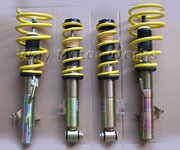 We have adjustable shocks, sport shocks, adjustable coilovers, and race coilovers. 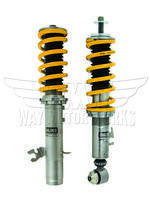 We carry KW, ST suspension, Cross, Koni, Koni FSD's, John Cooper Works, Bilstein, Vmaxx, H&R, TSW, and Megan Racing. 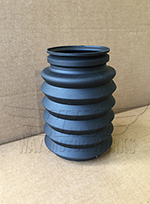 Many of these kits allow you to adjust the ride height, adjust rebound and/or adjust compression dampening, and some even include camber plates.